I had few things in my mind; this is probably my third attempt. And I’d say this turned out the best of them. 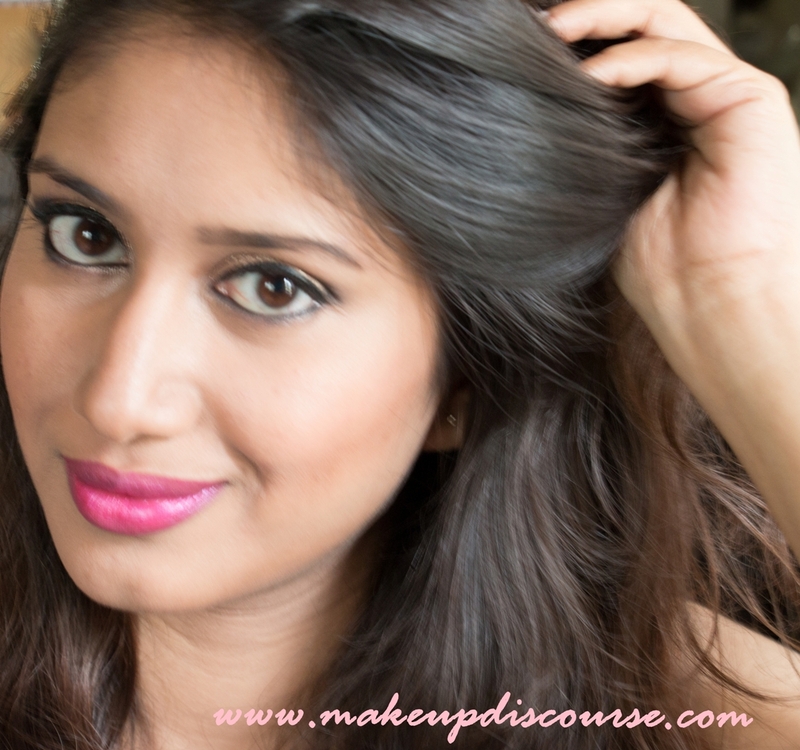 Last week when I was working on Matte makeup look, I accidentally wore an Orange-Coral blush and a Coral Lipstick. The makeup was extremely minimal, just diffused coral on cheeks and lips. I was saving that look for Pumpkin Spice, but I wanted an eye makeup to go with Coral Lips. I wanted the festive mood to break in. I chose Copper Smokey Eye makeup paired with Berry Lipstick with Purple undertone. I almost assumed I didn’t have Fall/Autumn Lip colours. The Eyeshadow finish is metallic, so I skipped Highlighter and kept the rest of my face Matte. And used a Gorgeous Coral Blush. This look is not something I’d wear during the day or even for a casual day. I’d probably wear this for a Wedding or something alike. Also, I kept my base extremely light. I concealed wherever needed over the CC cream. I paired a Berry Pink/Magenta Lace Tank with this. My tank matched the Lipstick. I know I've been repeating a lot of products, but few colours from the Sleek Palettes are my go-to transition colours.